What do you all do to clean out your pugs' nose flap*? Just a wet cloth? Or do you use anything to keep the smell and bacteria down? I'm also aweful at cleaning it everyday. But then again, I'm not here very much so it's basically up to my mom and anyone else while I'm at school. Another thing, Brutus' skin under his collar (only on the front of his neck) is somewhat hairless and also has a bad odor. Does anyone else have this problem? his collar isn't that tight on his neck. It's about two finger widths loose. * Is there an actual name for that area about the nose? I forget. I just always call it his nose flap. 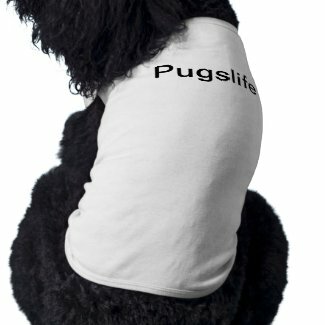 http://www.pugslife.org/profiles/blog/show?id=772342%3ABlogPost%3A724 read this for cleaning tips. As for the bad odor, Brutus may have a parasite infection, although the best way to find out what it is is take him to the vet. It may be nothing but again, it may be something serious. Hi Lindsay: I clean the top and underneath my Bella's nose roll about every 2-3 days with a treated baby wipe. I use Pampers Wipes for Sensitive Skin, let them dry out for a few days, then add in already mixed solution of 1/2 cup water 1/2 cup white vinegar to soak the wipes. I then use 1/2 wipe to clean the upper part of the fold indentation and the deep fold underneath. I always get a little black stuff even when cleaning this often. I usually wipe 2-3 times depending on the debris I get! This was a recipe from a veterinarian friend of mine. As long as I am diligent, the nose doesn't get irritated or smell. Bella doesn't love it but it works. The very mild acidic solution helps keep bacteria and fungus at bay. Since it is food grade, if she licks off some of the vinegar, it won't hurt her. Thanks everyone for the replies. I believe my mom will be able to take Brutus to the vet tomorrow. I wish I could go but I have some things to take care of (getting my car appraised, oh joy, and work). I hope its nothing too serious.